” primary takes 5-8 subjects per test or exam. while secondary takes 10-15 subjects. and college takes around 5-10 subjects. this causes the world to lose a huge amount of paper & trees. Do you know a mid term exam use up 150 trees? Save the earth. SAY NO TO TEST & EXAM. ” – a forward message. 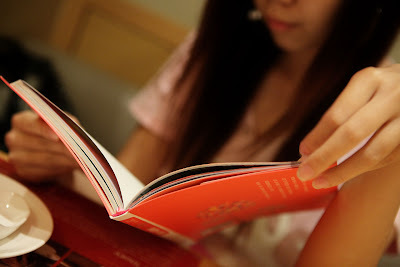 Besides, I am now having my one week study week, which idontknowhow turns into a gain weight week. I had consumed a shocking amount of food this week, alternating between french fries and chocolates. Kononnya, to release stress. ughh. & now, I will be blogging about FOOD again. wth. 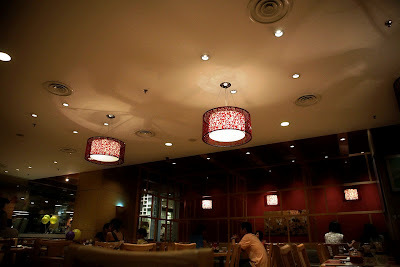 A restaurant I went with a friend of mine the other day, name DIN TAI FUNG, the dumpling house which located at The gardens, Mid Valley. which has branches all over the world. yea. but the overall ambience is good, simply cosy. i like it. there’s also several pretty taiwanese waitresses working there. sliced ginger & marinated cucumber. Silken tofu with pork? floss and salted eggs toppings. rm12.50++, if i’m not mistaken. the pork floss, salted egg and cold served white tofu. It’s supposed to serve together with the century egg. but well, my friend, doesn’t like the century egg. I didn’t try this, therefore, I couldn’t comment much. fyi, they use japanese rice for this dish. whoosh, studying weih. EXAM marr. Overall, this place is kinda a good place to have lunch/dinner. The food is good, and served fast, and most importantly, the price is quite reasonable. I’ll be bringing my dad, the next time. P.S. – Exam causes my life to be pretty lifeless. I guess the same goes to my ex-boyfriend, who recently created an attention seeking blog. yes. 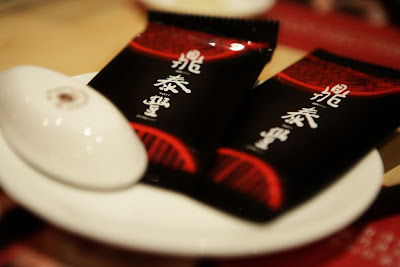 the toufu looks…..very very smooth…damn it….its been ages since i had toufu….argh!!!! i curse u!! hahahahahhaha….anyway….after a good meal….. feelin better? =D smile!!! and keep smiling!!! I like the ‘save the earth’ thing. haha. SAY NO TO EXAMS! u like to enjoy life huh .. ha.. i’ve got an idea..
i eat u pay – i become fat but u maintain and just ur pocket empty only.. No more worries about fat, no anymore! u try b4 canton-i in 1u, also not bad de..
anyway, i thought goin to uni will b easier..but NO!! ITS HARDER AND ITS EVEN MORE BUSY THAN FORM6 !!! I have no idea what’s his mind is thinking, noneotherless his actions…. GO AWAY i dont need your credits attention seeker. SAY NO TO TEST & EXAM.. LOL..
test one time really waste alot of paper..
but u have to reason to say NO to the exam…. wat new novel u get? sorry, just now was my friend using my account to leave comment….just ignore it…. Superb Very Very Fake leh you! and, the tofu seems to be really nice. 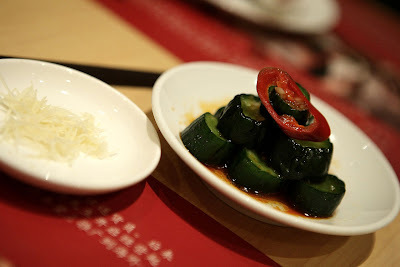 that marinated cucumber looks juicyy~! :) btw im iylia,followed ur blog quite a long time ago.and uve such an interestg daily life like no others! And yeah!! I totally agree with you,that exam should be stop immediately,it kills lotsa trees and indirectly kills alot of students!! aaaaa! eh tzia, do u know that i’m from subang too! i know sophie cause i was a scout too! i had another chance trying din tai fung in singapore and d same “siew long pau” variety tastes so much better and for dollar 2 dollar it’s worth more since in SG has 10 pieces while M’sia only 4!!! try it out if u do have chance 2 go in SG or prolly in taiwan 4 that matter…have a great weekend! 恋爱初学者 – wah. curse me somemore? ha. i had a lil only, not satisfied. lily – thanks. maintain? you must be kidding. haha. anyway, i m using acne-aid now, got to get rid of my acne. le-anne – i screwed that paper today. msgxf – wooh. chocolate, then gain weight. haha. danieltong – wth. what a BRILLIANT idea you! lol. deadeye – true. maybe exam to be computerized. ;) yea. indeed. destony – yes. assignments kill!!! ruki – will you still be having any exams? michellelln – yea. you should go try! banana – exam killed me. yes, i am a ghost now, ugh! suetli – omg!!!! you know SOPHIE!!! ;) yea, i know u r from subang, you brother is currently studying at USJ8. yes? i stalked you. haha. ray – never try their siew long pao. cause i had the one from dragon-i before, and i didn’t like it.